Marcelia noted that the museum did not have enough time to plan an elaborate, multi-day event like Corning’s, but decided to proceed regardless— to start small and let it “blossom” over time. To kick start the series of annual Glass Fest Northwest events, the Museum of Glass is working in collaboration with the Tacoma Art Museum. 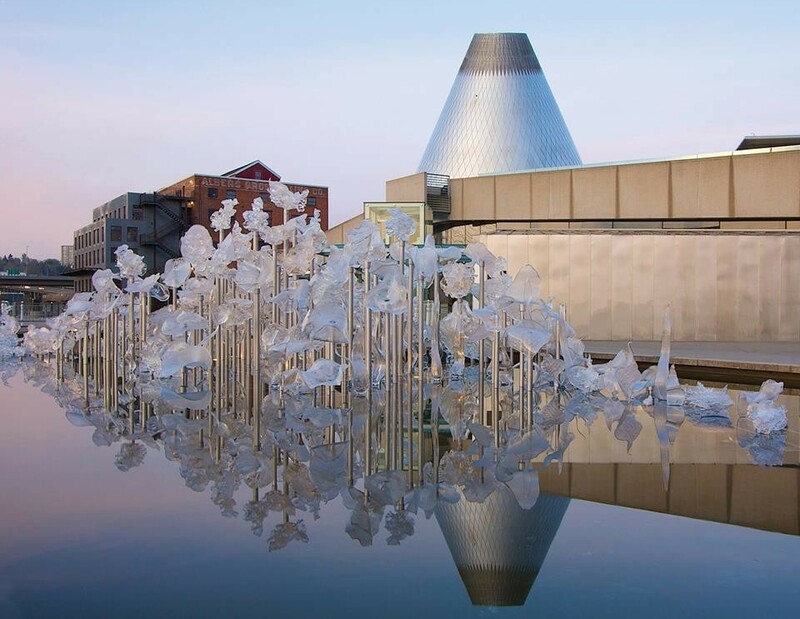 The Tacoma Art Museum is a nationally-renowned art museum, home to the largest collection of glass art from Tacoma-native Dale Chihuly, as well as the largest collection of studio art jewelry by Northwest artists. It is currently in the process of building a new wing to house the recently gifted Benaroya Collection, one of the most definitive holdings of Studio Glass with a focus on Northwest artists. The museum was founded in 1935, nearly 70 years prior to the Museum of Glass, which just celebrated its 15th year anniversary this year. In spite of the substantial age gap between the two, both museums are the only ones in the area that work specifically with glass and have glassmaking capabilities. Marcelia said that partnering the two organizations together has the ability to increase community interest and accessibility to glass art in the region. According to Marcelia, the Pacific Northwest is a center point for contemporary glass, but often times smaller glass artists do not have an opportunity to share their creations. This kind of event will allow lesser-known artists a chance to display and sell their work.